Knowing what to say when someone loses a pet can be helpful to provide caring and comfort. Loss of a pet quotes are helpful to have as references for when a friend or family member loses his or her beloved cat, dog or another animal. "I am so sorry your pet died." "I know you will miss your pet." "I know your house will seem empty without your sweet pet." "I'm here for you if you need anything." "I know it's not easy losing a best friend." "Your dog is enjoying an all-you-can-eat treat buffet in the afterlife right now." "I've heard that when you see a butterfly, it's actually a loved one that's passed. The next time you go for a walk, don't be surprised if a butterfly flutters alongside you." "I think dogs are returned to their younger, healthy selves in Heaven; imagine him running around in no pain and just waiting for your arrival someday." People love cats because of cats' insistence on earned affection; you have to build trust with a cat or they'll let you know with claws and teeth to stay away. After taking the time to earn the trust of a cat, losing that cat can feel devastating. "You made him very happy for the years he was with you." "I know you'll miss his sweet purring. He was such a loving cat." "There will never be a better cat than he was." "I'll bet they have an unlimited supply of catnip in Cat Heaven." People don't solely bond with cats and dogs as pets. The death of a fish, small pets like guinea pigs and hamsters, and even horses or birds can leave a person feeling sad and needing condolences. "Do you want to talk? I know you must be hurting." "What can I do to help you during this trying time?" "Can I bring you a meal or some coffee?" "I'm sorry - I know how much you loved him." Kids may not fully grasp the concept of death, but they do know they feel pain when a pet dies. Console a grieving child without making empty promises or dismissing their feelings. "How are you feeling about this?" "Do you want to talk about this? I'm here for you if you do." "You sure were a good friend to him." "It's OK to be sad when a pet dies. Even grown-ups feel sad right now." "I know you miss your loyal and beautiful companion." "It is hard to say goodbye to such a special companion." "My thoughts are with you at this time of loss." "May fond memories of your beloved pet warm your heart always." "(pet's name) was a great friend to you and we will miss him." "Deepest sympathies for the loss of your beloved (pet name)." "I will miss (pet name's) energy and love for people." "I'm here for you - please take the time you need to grieve." "I know you're sad, and it's OK to be sad. It's hard to say goodbye to such a loved (dog, cat, etc.)." "I've enclosed one of my favorite photos of (pet name) because this is how we'll remember him: happy and vibrant." Make sure that you are sympathetic when your friend experiences the death of his or her pet. If you are a pet owner, you may find it easy to be sorrowful for your friend's loss. If not, you may not understand the emotions, or even wonder why your friend is so choked up over the death of an animal. This is the time to be kind and considerate. Some people live alone, except for the presence of their pet, so when the pet is gone, they are truly without companionship. Studies show that in the United States, more people have pets than have children. It is not silly or strange for humans to grieve over the loss of a pet. Young children may especially have a difficult time when a pet dies. They will need extra love and attention at this time. Pets are valuable and often considered part of the family. People love their canine or feline family member and take good care of them. Families take their animals on vacation, celebrate their birthdays, schedule checkups for them at the vet, and buy their pets toys. So when a pet dies, the loss is huge and grief is evident. 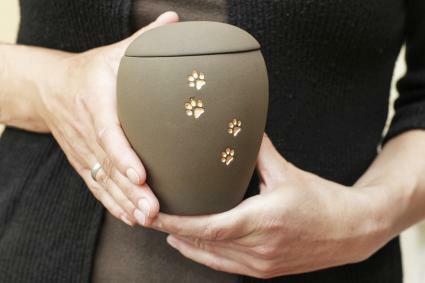 Consider buying a sympathy gift for a friend who has lost a dog or cat. A memorial stone that is engraved with the name of the pet is a lovely gift. A picture frame where the owner can place a photo of his pet is also a nice present that will be appreciated. 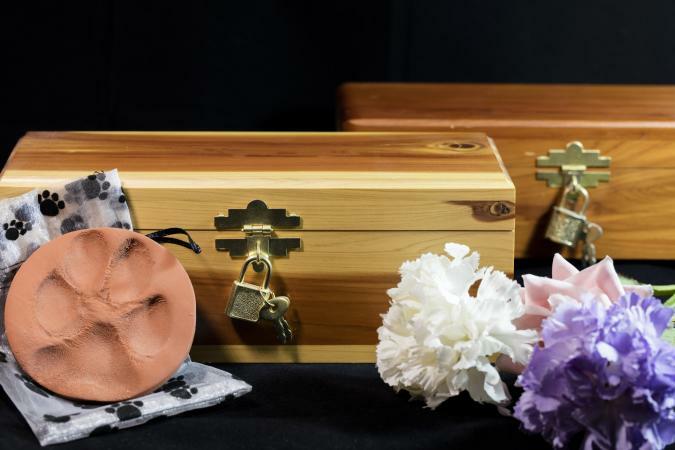 An online shop such as Find Gift will help you look for something to give your friend in memory of her deceased pet.